On 2 June we brought together our project team, partner organisations and guests to celebrate the launch of the project and convene the first meeting of project partners. The intention of the event was to bring stakeholders together to mark the formal commencement of the project and engage in discussion and consideration of the project goals, activities and outcomes. A key element of this was providing partner organisations with the opportunity to develop a deeper understanding of the scope of the project and to identify their own particular interests and opportunities to contribute. Project Chief Investigators: Tom Kvan, Wes Imms, Clare Newton, Kenn Fisher, Ben Cleveland & John Hattie. The event was attended by representatives of partner organisations, chief investigators, project staff and colleagues from research units at the University. 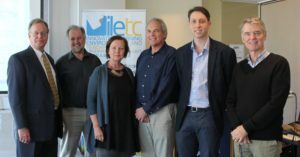 Special guests included Professor Richard Elmore (Harvard Graduate School of Education), Dr Julia Atkins (Education Consultant, Learning by Design), Professor Daryl Le Grew, Professor Lesley Farrell and staff from the Learning Environments Applied Research Network (LEaRn) the faculties of Education and Architecture. 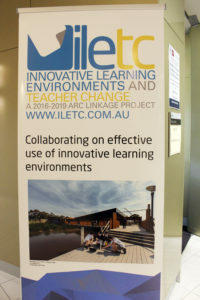 A panel discussion involving Professor Richard Elmore, Dr Julia Atkin and Professor John Hattie provided context and provocations for discussions (videos here). Their comments highlighted the many challenges facing education, as well as the many successes and innovations. They emphasized the potential of this project to effect change by employing multidisciplinary perspectives, design thinking approaches and participatory research. The panel discussion and contributions from guest speakers throughout the morning provided valuable feedback on the project direction as well as framing the study within the broader context of education. A video of the panel is discussion will be available online soon.